This safari is a 6 days, 5 night luxury guided Lodge safari to the top game-viewing areas of Tanzania: Lake Manyara, Ngorongoro Conservation Area, Serengeti National Park and Tarangire National Park. The wildlife concentrations and diversity here are unsurpassed – and you’ll be able to view them from the comfort of your 4×4 Landcruiser, in the company of an experienced safari driver / guide. Accommodation in a Luxury Lodges on Full Board. 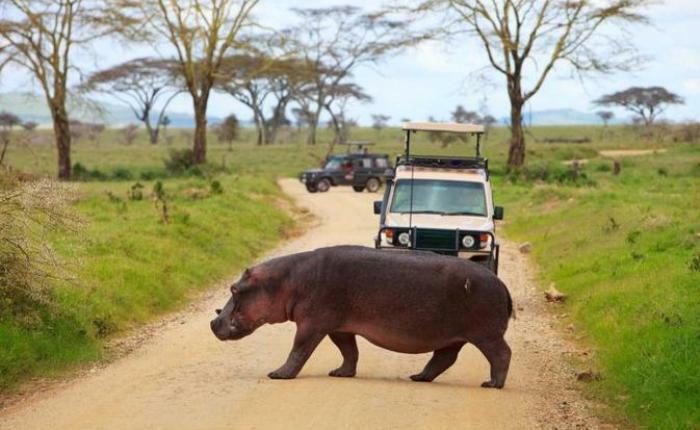 We drive to and enter the world famous Serengeti national park Serengeti National Park. Game Driving from the entrance gate to your hotel in this the probably most famous of all National Parks in the world!• Overnight in Serengeti Sopa lodge/ Serena Lodge BLD.